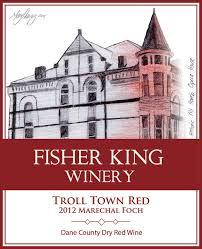 Among the cold-hardy grapes grown in the Upper Midwest and Northeast, Marechal Foch is probably the most popular and is developing a cult following among some somms. Known affectionately as “fosh”, it was developed in Alsace in the early 20th Century, and later was named after a prominent French General from WW1. Widely planted in France until it was replaced with the “noble” varieties, it has found a home in Canada and the colder parts of the U.S. It is moderately cold-hardy, produces reliable yields, ripens early in the vineyard and also makes a charming wine. Fruit-forward, with gentle tannins and high acidity, it kinda sorta resembles Pinot Noir although it has its own distinctive characteristics, namely an inky color, hi-toned acidity, at times a charred wheat aroma note, and prominent coffee or chocolate notes. It’s a versatile grape that takes oak well but can also receive the whole cluster, carbonic maceration treatment and make a light, fruity “Beaujolais”-style wine. 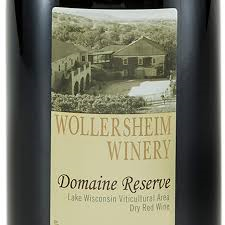 Wollersheim has been making wine in Wisconsin since the early 1970’s. Throughout the decades they’ve experimented with many varietals but for winemaker Phillipe Coquard, it always comes back to Marechal Foch as the grape that best expresses his vision. The Reserve is their best bottling that sees 12 months in their distinctive French/American hybrid barrels. And it is a lovely wine that keeps growing on me. 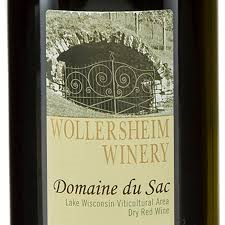 The nose achieves some depth with berry, raisin undercurrents, hints of coffee, musk, and wet autumn leaves. It’s black cherry on the palate and, as the acidity gathers strength midpalate, it develops the sprightly feel of cherry cola before closing with sour cherry. Wonderfully soft and supple under that layer of acidity, the finish is long and lifted without being too forceful, with soft tannins providing a gentle anchor. A different expression of Foch, blended with 10% of another French hybrid Leon Millot, it shows black cherry, hints of charred wheat, coffee and some reticent vanilla. This is a lighter but also a more rustic wine, more linear in its development and less supple than the Reserve. The whole cluster fermentation process gives this wine ebullient fruit up front and a very fresh tasting midpalate. An excellent table wine, easy drinking with soft refined tannins, it sees 5 months in oak. This is a wine so cheerful it would make Pollyanna blush. Light and fruity with cranberry and bright cherry fighting for supremacy, this wine is bursting with flavor and full of charm. A fun everyday pizza wine, the acidity is becalmed and it has just enough tannic structure to provide length on the peppery finish. There is nothing deep or complex here, just unadorned joy.